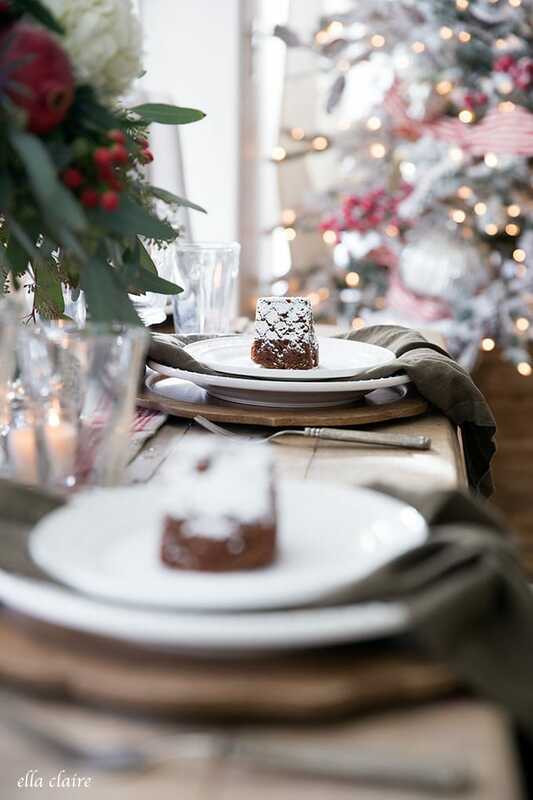 A Christmas tablescape with classic reds, greens, pomegranates, berries, and gingerbread house cakes. Oh Christmas, how I love you. I truly love everything about Christmas- the twinkling lights, the smell of gingerbread, the fresh scent of of holiday greenery, baking sugar cookies with my littles, hot chocolate, Christmas carols, and most of all, remembering the birth of our savior in a humble stable in Bethlehem. 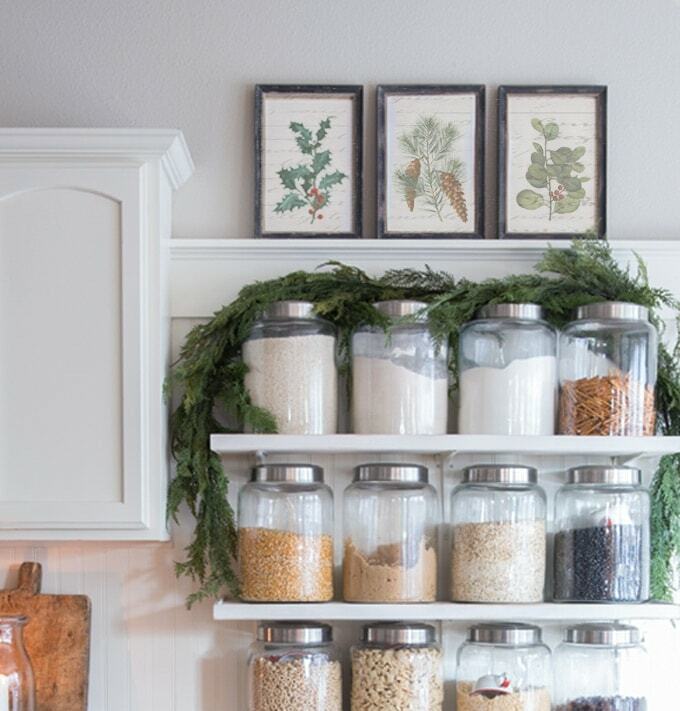 There are so many ways of decorating for Christmas, but this year I decided to go a little more on the traditional, nostalgic side with my kitchen and now dining area- with classic reds and greens, berries, pomegranates, and little gingerbread cakes. 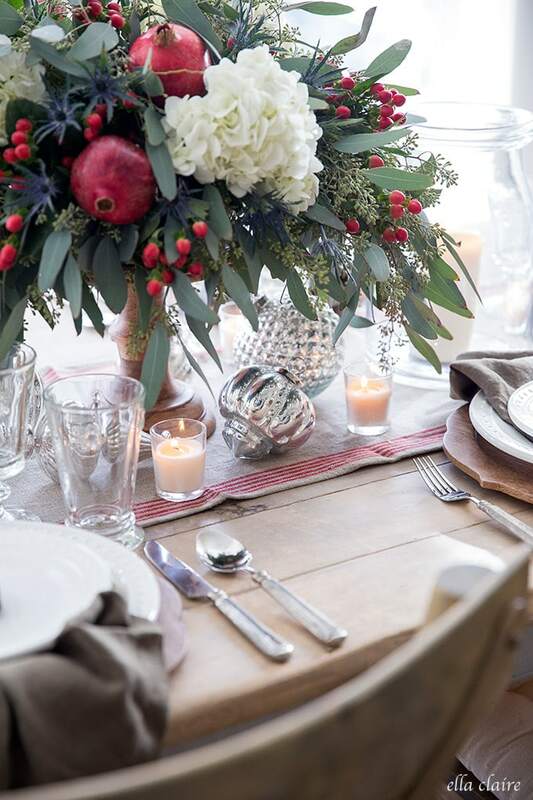 I will link to 15 other beautiful holiday tables at the end of this post too! 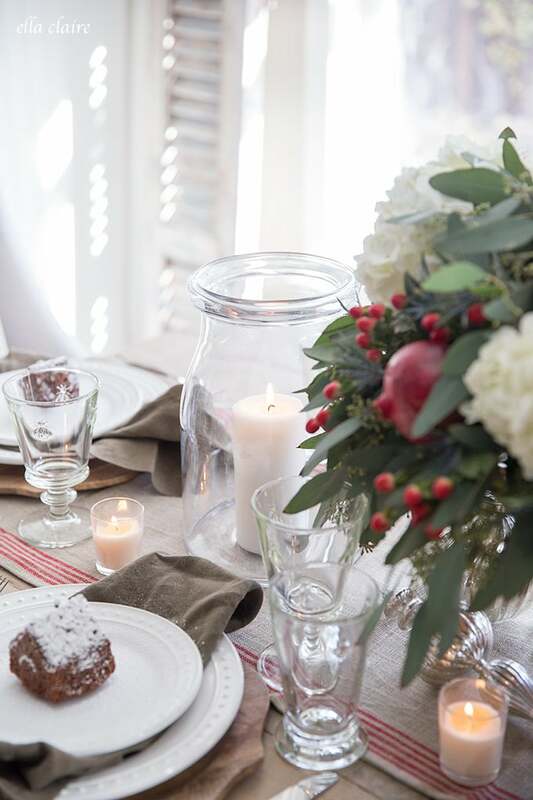 I started my table with this red striped table runner (I will link to all sources at the end of the post). I had my eye on it last year but finally purchased it this year and I love it. I love pops of festive red at Christmas. I added a little flower arrangement I made with grocery store flowers- eucalyptus, white hydrangeas, hypericum berries, and these blue thistle Erynginums. 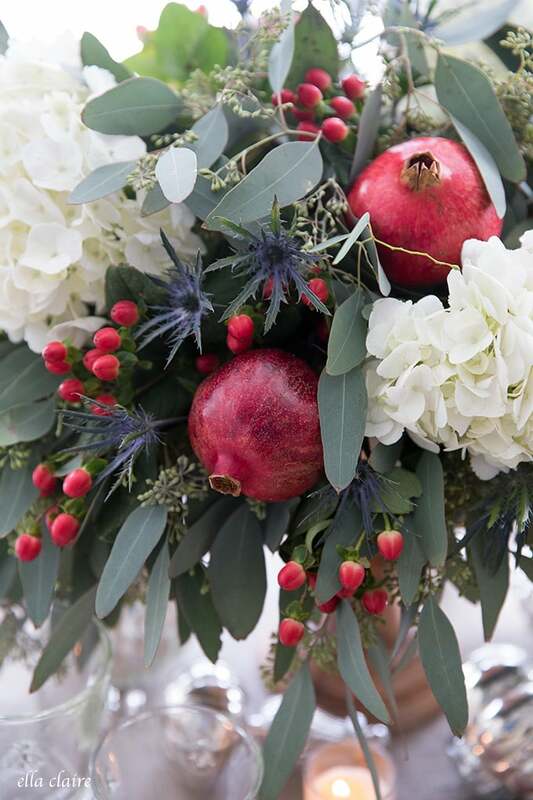 I stuck a couple of pomegranates in just for fun too. I put a few of my mercury glass ornaments under the arrangement just for a little added sparkle. I love any excuse to light candles, but I especially love them on our table. There is something about them that says, “please, come sit awhile.” These little glass votives are my favorite and they are just from Walmart. I use them over and over throughout the seasons and they are so versatile so I always have them in my cupboard. I had also been wanting one of these fun cake molds for years now, and I finally bought one. They are so cute; I don’t know what took me so long! I used my gingerbread cake recipe (HERE) and dusted them with powdered sugar (snow!) and I have a feeling this will be one of the things that my kids love to make each year. They thought sprinkling the snow on the houses was so fun. 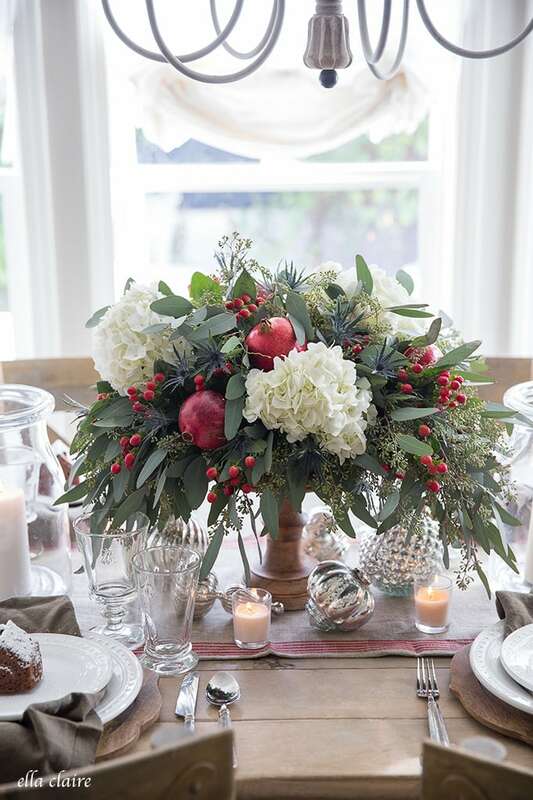 One thing about tablescapes is that they seem like they would take a long time to put together, but the only thing that really takes any time is the centerpieces or flower arrangements. 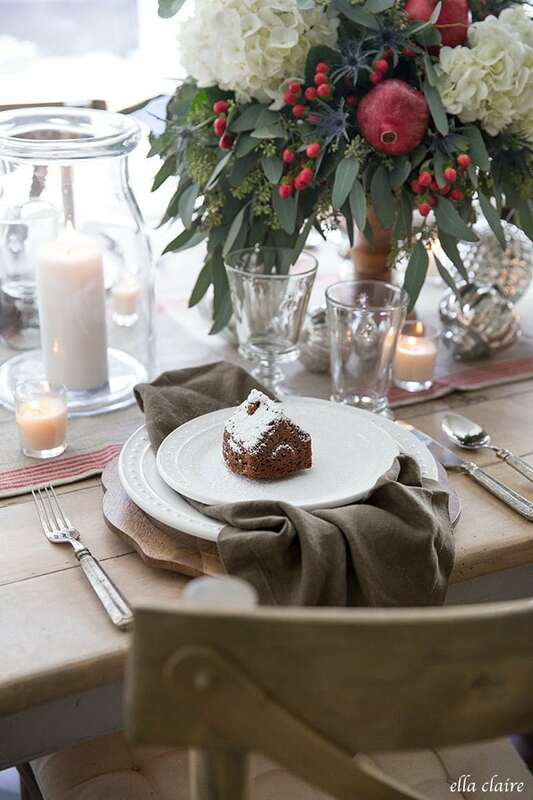 I always use the same neutral dishes, flatware, vases, candles, etc. and it doesn’t take me anytime at all to set those on the table. 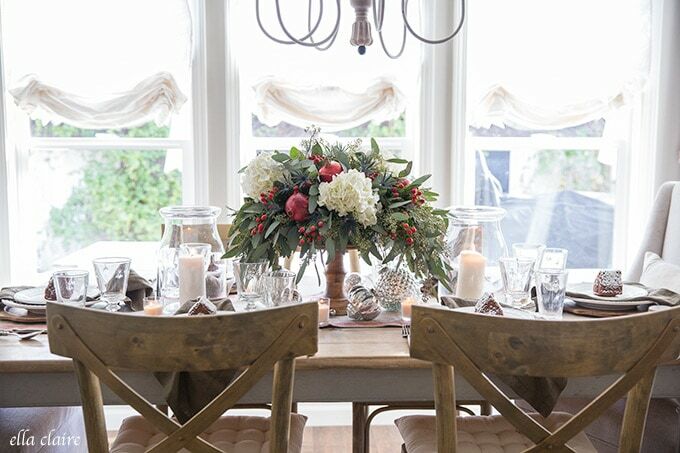 By simply changing up the middle centerpiece and table runner, it changes the whole look each time, without having to go to the expense and effort of changing up everything. 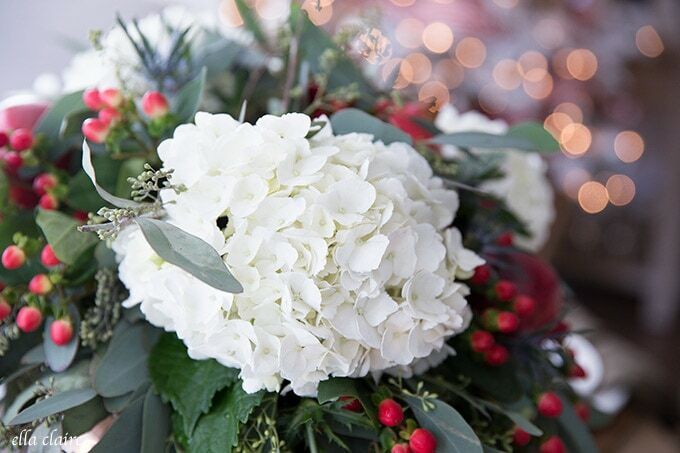 Do you love traditional Christmas colors, or are you more for the nontraditional or neutrals? 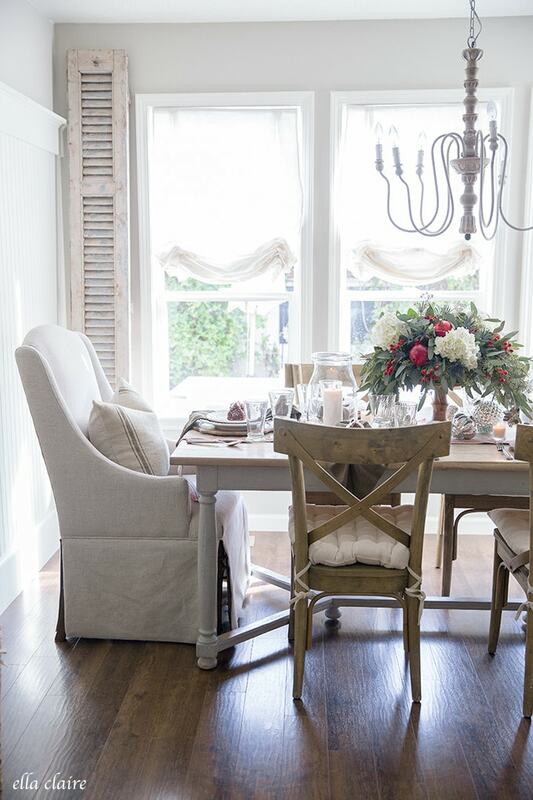 Here are 16 more dining spaces full of inspiration in many styles that you will love for the holidays! 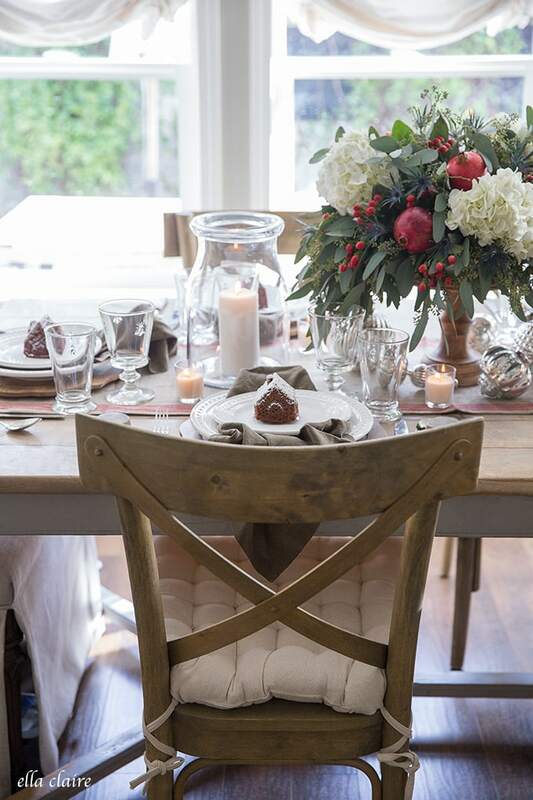 Your tablescape is so pretty and homey. I LOVE the wood chargers. 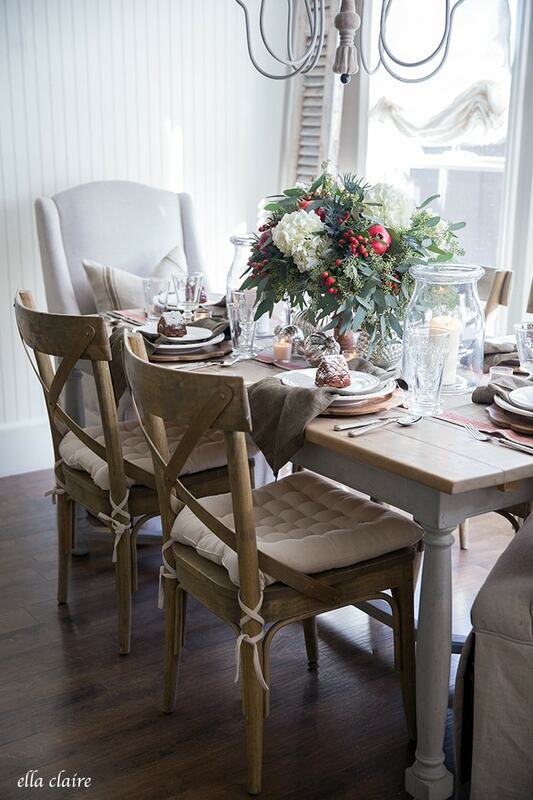 I love this table Kristen! You always do an amazing job, but I love the traditional colors of this and of course, the gorgeous flowers and the cute gingerbread houses!! A truly timeless and classy Christmas look. Very beautiful! I used an antique bowl that I taped with a grid pattern and then set it on top of a cloche stand that I had broken the cloche on. It was just from homegoods! I have a flower tutorial posted in my Instagram stories if that helps!